The sale of individual homes to Americans is rising and the trend that began in 2014 remains strong thanks to low interest rates in the mid-3% area. Even though December of 2014 showed a slower sales amount, typical of early winter months in real estate sales, the average, adjusted for seasons, topped 5 million across the nation. One reason for such strong sales is the way interest rates have strengthened purchasing power for buyers. Low interest rates mean buyers have more dollars to spend while keeping their monthly payments low. The decline in interest throughout the 2014 year meant that in December, buyers could afford 10% more home than they could in the previous year. As of the end of 2014, interest rates were at the lowest point in 20 months. People interested in buying a home should consider the fact that these great deals may not stay around forever. 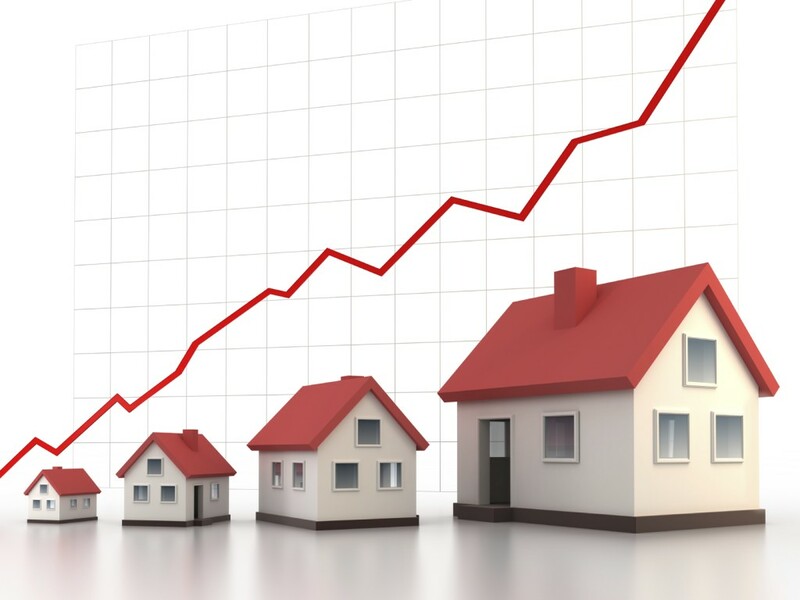 Interest rates fluctuate, and many factors influence the level of the current mortgage rates. Therefore, when rates are low, the time to act is now. Another influence in the factors of real estate deals is the availability of homes for sale at good prices. Currently, the number of homes available is stronger than the demand. Low interest rates and buyer education will soon cause those numbers to change. As home availability dwindles, prices go up. These conditions create what is known as a “seller’s market.” Sellers see that they have a valuable commodity that people want and there isn’t enough supply to fulfill the demand so they raise their prices. The good thing is that there are many programs still available that keep interest rates low and down payment requirements low such as FHA and VA loans. There are new government programs such as one that allows home buyers to get their home with only 3% down payment if they have a credit score of 580 or better. In December of 2014, the National Association of REALTORS® reported a total of 5.04 million sales with the appropriate adjustment for seasons. This report showed a jump of 2% in just one month in December and a total rise of 4% for the year. In contrast, the availability of homes over the 2014 sales year was tight and is expected to tighten through 2015. The high level of sales in 2014 is attributed largely to the low interest rates prevalent through the year. With only 17% of the total real estate sales for the month of December due to investor activity, first time buyers and repeat home buyers are the largest influence in the current market, meaning sales of immediate occupancy, well-maintained, market value homes is strong. Sales in all price ranges except the very lowest were up, most over 10%. These reports were based on the Pending Home Sale Index, meaning they were based on homes currently under contract but not yet closed. History shows that 80% of the homes under contract close within 60 days, so the timing of those numbers could change a bit depending on actual closing. Still, the latest Pending Home Sales Index report predicted home sales near 4.9 million and the actual number of sales was, in actuality, far better. With supply dwindling in the real estate market it is important to get the best deals on home loans possible to keep costs manageable. Low interest rates make it possible to buy a higher priced home and still have manageable monthly payments, but unless down payments are kept low it is still hard to afford buying that dream home. The higher the price of the home, the higher the down payment needs to be. Down payments are usually based on the total sales price of the home. Lenders who want 10% down, and in most cases even more on jumbo, high-value real estate loans, can make it impossible to buy a home in today’s market. Home prices are going up because the demand is there and the supply is not. A home now worth $250,000 would require a down payment of $25,000 at 10%. That is very hard for the average person to come up with. However, home buyers can take solace in the fact that there are government programs to help them out and keep those upfront costs manageable. FHA loans only require a down payment of 3.5%, and new government programs help cut down payment costs even more. A new program, known as the 97% program, allows home buyers with credit scores of 580 or higher to buy a home with a down payment of as little as 3%. These programs also help people get loans with lower requirements such as income levels and credit scores. Another advantage to the government backed loans is that home buyers can accumulate the down payments through gifts from family members and friends. Another excellent resource for home buyers looking for rural property is the USDA loan program. The USDA loan program lets buyers get a home loan with no down payment requirements and the same low credit requirements. In response some banks are lowering their own credit and down payment requirements even on jumbo loans for homes valued over $750,000. Now buyers can find high-value home loans with lower credit score needs and down payments of only 10%.